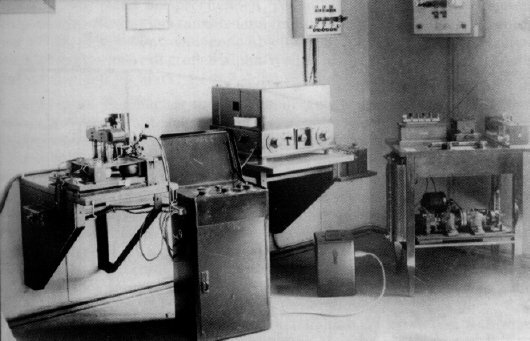 In 1926, Hans Berger developed one of the first devices to record an EEG. The device virtually filled a room and made a rudimentary recording. It was known that the brain produces electrical signals in an oscillating wave form, though the process was not clearly understood. Berger. among others, paved the way for more sophisticated means of recording the EEG and therefore a deeper understanding of the underlying neuronal processes that produce these wave forms. From the outset, it was known that a person could learn to exercise some level of control over the waveform being produced in real time. So, in essence, even the first EEG devices were biofeedback devices since the immediate feedback of the visual EEG recording enabled a person to gain voluntary control over their brain’s neuronal waveforms. By the 1960’s, numerous portable devices for neurofeedback had been developed, including the Brain Wave Synchronizer (1958) and the Mind Mirror (early 1980’s). 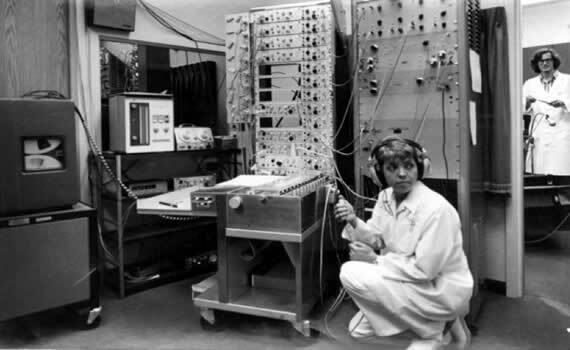 Doctoral candidate Penny Montgomery with her first biofeedback machine at the University of Texas Health Science Center in San Antonio, 1969. 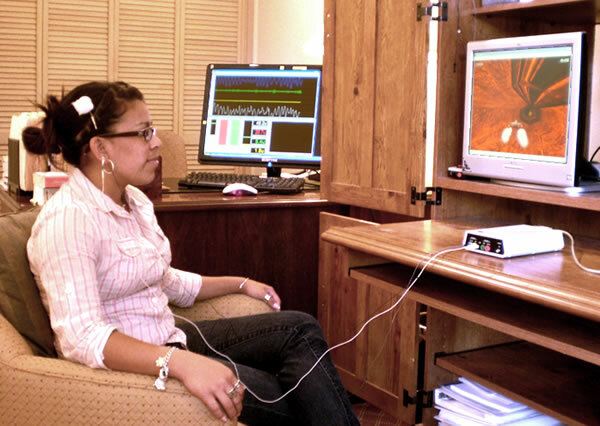 Current neurofeedback devices are computer based. Various companies produce software which enables the use of EEG amplifiers to provide neurofeedback. Rather than looking at a strobe (as used on the Brain Wave Synchronizer) or a set of illuminated bars (as on the Mind Mirror), persons doing neurofeedback today can chose from a wide selection of feedback options, including animations, games and even DVDs. This young woman in my office is controlling a space ship as she trains her brain to become more attentive. Visible also is my control screen, showing the raw EEG signal and various frequency bands produced by the software. For some time, the therapeutic use of the EEG was virtually nil. In the sixties, however, Joe Kamiya at the University of Chicago experimented with a rudimentary neurofeedback device which enabled people to train their brains to go into an alpha pattern, which is associated with a calm, clear, meditative state. This was a significant breakthrough. Unfortunately, neurofeedback lost much of its scientific status as it became associated with a number of guru types who promoted similar devices as an avenue to deeper consciousness. The discovery that neurofeedback can have therapeutic benefits may have been an accidental one. Barry Sterman, a researcher at UCLA, was experimenting with cats to see if they could learn to control their brainwaves using an implanted lead, an electronic box, and a food dispenser which rewarded the cats when their brains produced more amplitude in a certain frequency range. Meanwhile, NASA had concerns about the health of their Mercury astronauts while in orbit and suspected that a toxic rocket fuel chemical was leaking into their capsules, which could cause nausea and seizures. To study the effect of this chemical, Sterman conducted experiments on cats, some of which he’d trained with neurofeedback. Sterman’s data clearly shows that the cats previously trained with neurofeedback were resistent to the effects of the chemical and were less likely to have seizures. Sterman later found that neurofeedback training was helpful to humans with epilepsy. Research on neurofeedback was also done during the 70s by Joel Lubar at the University of Tennessee. Lubar found neurofeedback to be helpful in treating ADHD, expecially the hyperactive component. In the 80s, Eugene Peniston treated alcoholics in a VA treatment center with neurofeedback and followed them for some time afterwards. After 5 years, 70% of the participants remained abstinent of alcohol. Research on neurofeedback is proliferating. For more information on various studies, see the ISNR website at: Download.